Introducing the new trend in wine storage, modular racks. In either bin or locker form, these sturdy yet chic, steel constructed wine storage holders will complement nearly any environment. This bulk storage system can be lined up left to right and bottom to top, producing a custom fit nearly anywhere. This system can grow, shrink, and even change shape depending on your allotted space. 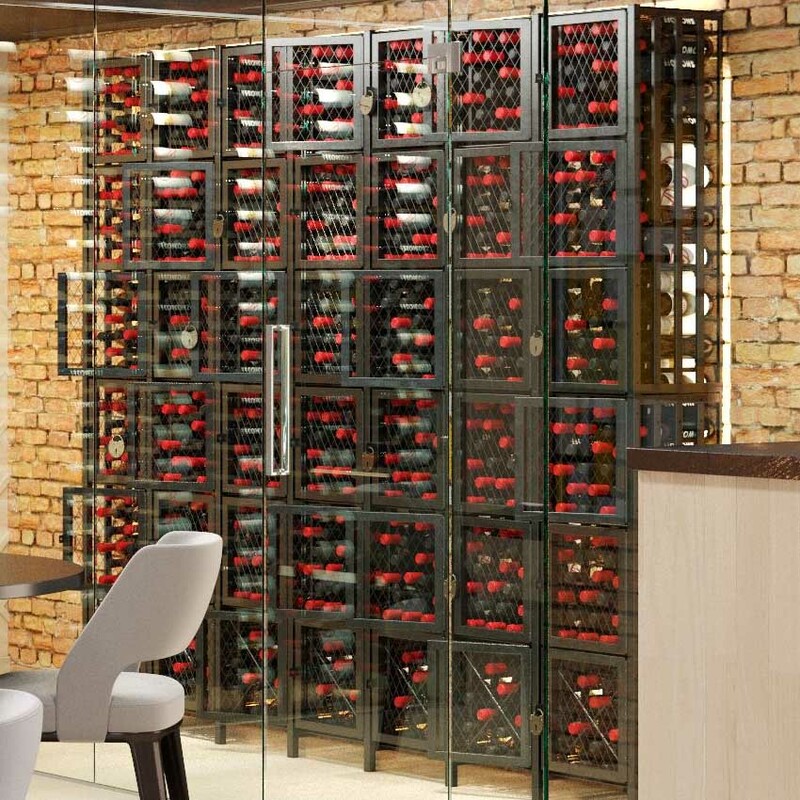 For the wine collector with a unique collection and an eye for clean design, The Case & Crate modular racks are sure to outperform your expectations. Available accessories include a locker door frame that installs easily and can be paired with their tough black lock to provide a layer of security for your collection. Three like-keyed locks can be purchased in a Lock & Label Package that includes three dry-erase magnets for labeling your bins. Steel X-bin inserts can be added to help further organize while also adding a unique aesthetic to locker and bin model racks. The unit’s modular design makes these features simple to install and remove all while providing a level of customization usually far removed from the typical wine storage container. The Case & Crate bin short holds up to 48 bottles (750mL) in a 3’5″ frame and allows for quick upgrades. The lightweight steel frame is strong and easy to maneuver. Stack another unit on top to increase bottle storage to 96 bottles and still save surrounding space or place these units side by side for a more conventional appearance. The stylish minimal design and satin-black color will find a home in nearly any setting. Modular Case & Crate racks available Here.